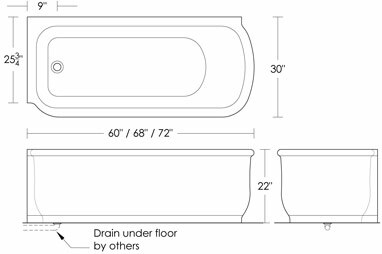 Built in on two sides with side drain. Drain and overflow sold separately. Marble color and veining will vary. in image and line drawing. 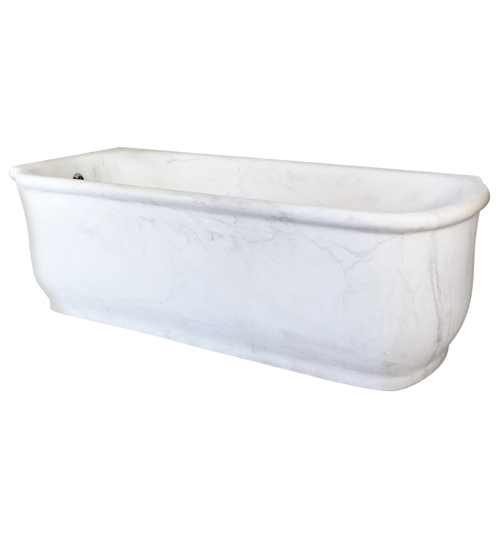 Our marble tubs and washstand tops are not sealed. If you want to seal them, test an area that is not very visible to see how the sealer affects the stone.